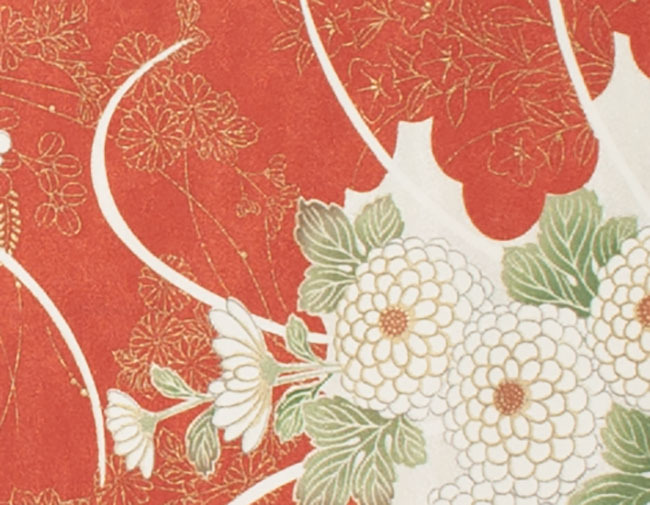 Kimoyes item: 21644 - Smooth burnt orange kimono fabric silk with dyed floral design and metallic gold print. Smooth burnt orange kimono fabric silk with dyed floral design and metallic gold print. Attractive with subtle sheen and very durable.